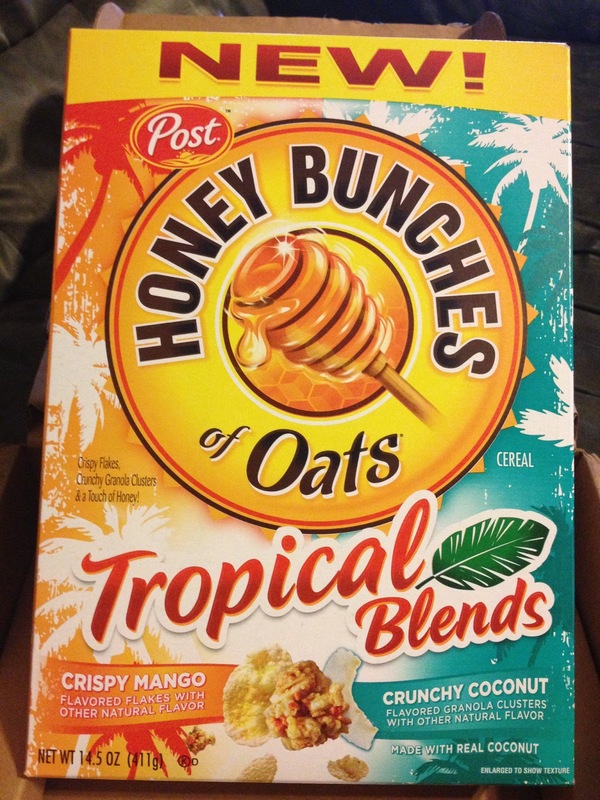 Introducing NEW Honey Bunches of Oats Tropical Blends! 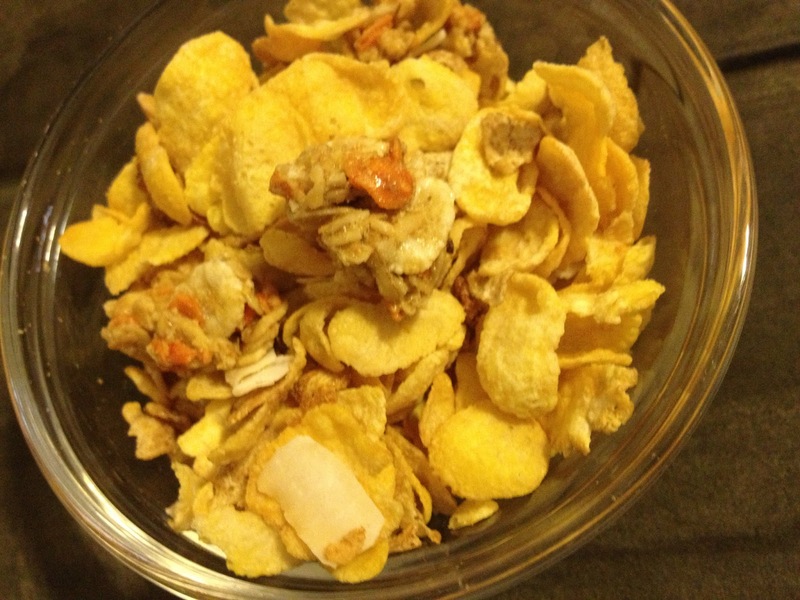 Featuring crispy mango flavored flakes and crunchy coconut flavored granola clusters! Honey Bunches of Oats has really out done themselves this time with this new tongue tantalizing breakfast option! My morning are so rushed trying to get four kids dressed and fed breakfast before I take them to school. I don't have time to sit down to enjoy a bowl of cereal on most days. Instead I put a cup of cereal in a sandwich baggie and munch on it while I'm driving the kids to school! 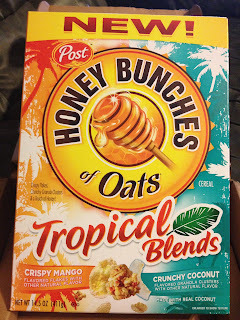 Honey Bunches of Oats Tropical Blends is bursting with flavor and is a healthy breakfast option. One 3/4 cup serving contains 120 calories, 10 grams of whole grains, 6 grams of sugar, and 9 essential vitamins and minerals including 60% of your daily requirement for iron. I really enjoyed the mango flavored flakes, coconut shaving, and the flavorful granola clusters. 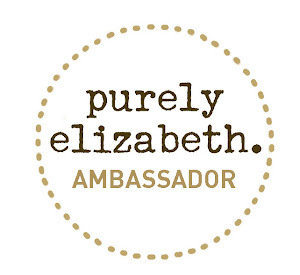 It's a delicate balance of sweetness with a blend of different textures in your mouth! One bite will transport your to a tropical paradise! Purex & Post want you to offer you the chance to also win FREE Honey Bunches of Oats Tropical Blends! 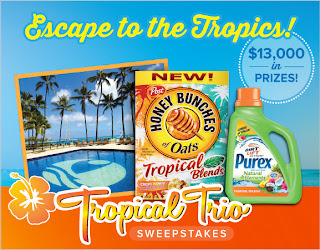 3 FREE Product Coupons for a box of Honey Bunches of Oats Tropical Blends! Post provided a free sample of their cereal for this post. All opinions are my own. Bagels with cream cheese! Yum! Denver Skillet with ham, green peppers, potatoes, and scrambled eggs :) YUM!!! Yogurt with crunchy cereal or granola in it. Or hot Grape Nuts cereal. I usually eat some oatmeal or yogurt. Bagels with lox, tomato, red onion and cream cheese. Cinnamon rolls! So bad haha. I like steel cut oatmeal for breakfast. I like cinnamon and spice oatmeal for breakfast. 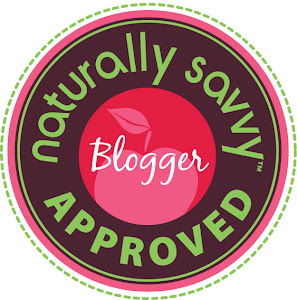 I love granola and oatmeal for breakfast! I eat cereal everyday there are several kinds I love. I think eggs and bacon are my favorite type of breakfast but cereal is so much faster and still yummy. I like yogurt and a banana for breakfast.